GITEX 2017, one of the largest and most advanced technology exhibitions in the world commenced this week in Dubai, UAE. Our SMS experts from around the world are currently on the ground, once again exhibiting the most sophisticated and innovative mobile messaging technology alongside other tech pioneers, futurists, business leaders and IT professionals. What a week it has been so far with exhibitors from all technology sectors, here to drive digital transformation for the future. 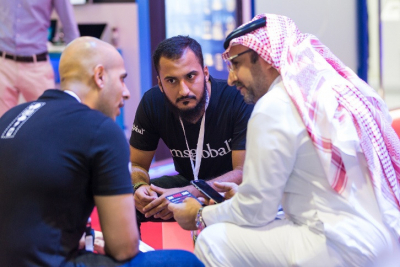 From AR and VR, smart manufacturing and robotics, to cloud communication, artificial intelligence and automation, GITEX technology week is supported by some of the most advanced and exciting organisations bringing game-changing technology solutions to the world. GITEX Dubai wouldn’t be the technology exhibition of the future without robotics! And ATLAB is a seriously impressive company specialising in innovative custom applications for education, corporates and industries in robotics and humanoid applications. Their mission? To bring artificial intelligence in robotics to enhance the productivity of mankind. 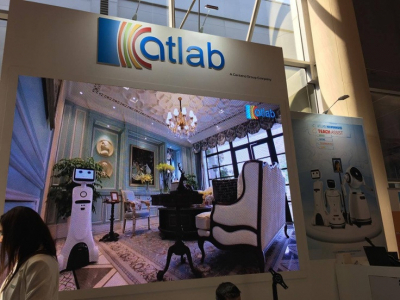 At the ATLAB stand we met the ATLAB Teach Assist robot, who gave us a glimpse of what teaching assistant of the future might look like! The robot offers a selection of different apps and videos designed to cater to modern education and support teacher. Features include storytelling, rhymes, games, projections and much more. Perhaps the most sophisticated function the bot boasts is the ‘1-to-1’ application designed for direct student interaction. The application allows the bot to recognise students by face, greet them and even look up their student records! It then selects the most suitable games and activities for the student depending on the skills that require further development. Juniper Networks is an American company that offers highly advanced network solutions. Perhaps one of their most impressive visions we discovered at GITEX Dubai is the development of a ‘Self-Driving network’. That is, a network that is fully autonomous, able to self-discover and also self-configure to the demands of the applications it’s serving – all with zero human intervention! The team at Juniper Networks assimilate the ‘Self-Driving Network’ to a self-driving car, in that are both autonomous network predictive and adaptive to their environment. At the GITEX 2017 Juniper Networks ustilise Lego and cars to demonstrate the power of automation and how it can transform and revolutionise. The digital transformation and intelligence solution of SoftwareAG helps in adapting business ecosystems to harness the power of highly progressive digitization technologies. Big enterprises with large data pools are expected to be (IoT – Internet of Things) future proof in order to innovate, differentiate then succeed. The company presented their Virtual Process Reality solution where processes can be predicted, segregated and measured to weigh time factor and other allocated resources. 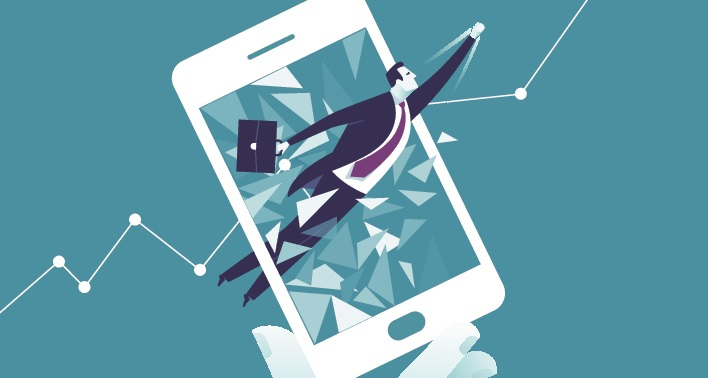 They also showcased how artificial intelligence drive essential components of this approach to push businesses forward into smarter boundaries. Codelab is a start-up software house providing a range of services including business automation and knowledge management. One of the most interesting technologies they have developed includes the use of artificial intelligence to manage and automate inspections. At GITEX 2017 Codelab introduced us to ‘Bravo’ their all-in-one cloud-based solution which allows companies to manage their inspection process in the most efficient way possible. Bravo can be accessed both internally and externally from any browser anywhere in the world, ensuring maximum usability and scalability. Recently, Bravo was utilised by the Saudi Ministry of Labor and Social Affairs to automate their social inspection process, which identifies and provides aid to beneficiary cases. Bravo assisted field workers in their tasks by creating sophisticated plans and targets, and providing tools to oversee and monitor their progress digitally. If these exhibitors are a sign of what’s to come at GITEX, we’re pretty excited for the next few days! Stay tuned for a full-wrap up of the event next week!